Customers will have complete freedom to use their own homebrew Linux routers to connect their premises to the National Broadband Network instead of using a standard router from the likes of Netcomm or Netgear, internet service provider Primus revealed last week. Most Australians with broadband connections today use specialized hardware from networking vendors. However, a select few — often those who work in the IT industry — do use more complex and optimized setups to route traffic, usually based on open source Unix solutions such as Linux or FreeBSD running on commodity x86 hardware. 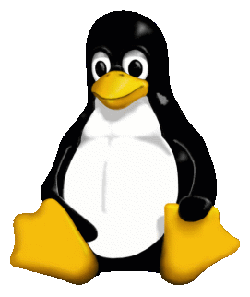 Specialised Linux distributions for the purpose also exist. Such customised routers — which were more popular during the dial-up period — permit a greater degree of flexibility than standard broadband modems (although the specialised modems also often run heavily cut down versions of Linux). Primus general manager of Marketing and Products Andrew Sims, whose company is preparing to launch NBN services to select communities in Tasmania shortly, last week said there was “absolutely no reason why someone could not use a Linux router or Linux box” to connect their house to the NBN. The reason, he said, was that the actual NBN connection into customers’ premises — business or residential — would consist of a normal Ethernet cable. A customer could connect a Linux server to that cable and authenticate with their ISP using the PPPoE standard – and then route the traffic around their house. The actual optical fibre connection into the premises would end in a network termination unit (NTU) box on-premises (for example, on the side of a customer’s house), with the Ethernet cable being the end connection seen by customers. In Tasmania it will be Japanese vendor NEC providing that segment of the NBN connection. However, the executive expects most customers to simply use a standard specialised router with the NBN. Primus’s preference is to provide a Netcomm device to customers, but “that may change, depending on suitability”. The situation will change, however, when it comes to customers connecting their telephone to the network. Although all telephony over the NBN will be internet telephony or IP telephony — the voice packets will be converted into IP data rather than transmitted as is — the connecting telephony cable into Tasmanian customers’ premises will actually be a standard telephone cable to allow current telephones to be used. If customers buy an internet telephony service from their ISP — for example, Primus will be providing its Lingo service through that port and not through a standard analogue telephony adapter (ATA) as most ISPs currently use for internet telephony services. “We’re not deploying an ATA with that, we’re actually deploying the voice port on the NTU,” said Sims. He suggested that this would be an easier solution for customers than deploying a dedicated ATA solution in a router or as a stand-alone device, as customers could simply plug their existing phone into the wall the same way they do now. In the event of a power blackout – which will render the customers’ internet connection inoperable – the voice connection will still work for a time, due to the battery backup being provided in the customer’s NTU box. However, much about how NBN services will be provided to customers still remains unclear. For example, a number of ISPs such as iiNet are currently planning to deliver internet video services such as IPTV to customers, both over existing broadband networks (usually ADSL) and through the NBN. But the fine details of those services have yet to be broadly worked out. “We, like many retail service providers, are still finding our feet with this,” said Sims. Which router is best for the NBN? Nice to know. Coincidentally I just upgraded our router at home to a kick arse RT-N16 router, it’s rockin gigabit WAN already but I didn’t think NBN when purchasing it. I must say it’s a dream router so far, the standard firmware is wicked, and it is fully open sourced with ASUS, Tomato or ddwrt firmware available. Bring on your NBN, I’m ready for ya! This all seems pretty standard – and as some readers will have deduced, there’s also nothing stopping you plugging your computer straight into the Ethernet port on the ONT and running PPPoE on the computer. Voice – copper pair, PSTN style analogue phone. The ONT is powered by a very small UPS in the same cabinet, on the wall of my house. So the VOIP packets will sent over the IP network (duh) instead of…. wah? Someone has munged this snippet into something that simply doesn’t make any sense. Perhaps they meant to say something about analogue voice, but that’s not in the form of packets. It makes sense If you remove the word ‘packets’ or replace it with ‘signal’. What does it matter if you can connect a Linux router to it when your internet is censored anyway? It means you could probably run a Vpn on the router directly to bypass the Internet Filter for all the pc’s on your network Instead of running a Vpn on every pc. I was just gonna say the same thing. VPN or ssh tunnel. Once the blacklist gets leaked you could add the addresses to a routing table and put em all through the tunnel automagically. Cool, a dedicated VAN gateway and router, just the thing for shooting holes in Internet censor-ware. Cool, a dedicated “VPN” gateway and router, just the thing for shooting holes in Internet censor-ware.